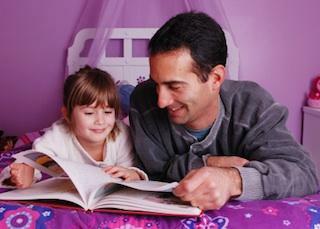 Incorporating short fables into story time rituals can be a great way to teach important moral lessons while encouraging your child's love of reading. Short fables are considered a form of folk literature. They can be found in the literature of almost every country in the world, although some fables were passed down from generation to generation as part of oral tradition instead of appearing in written books. A fable is a short story, told in prose or verse that illustrates a moral lesson by giving human qualities to animals, plants, inanimate objects, or forces of nature. Fables are often confused with parables. However, a parable is a short story that features human characters only. Fairy tales can also serve as either fables or parables, depending upon the nature of the story. Aesop's Fables is a collection of stories written by Aesop, a man who lived in Greece during the 6th century, BC. He was born a slave, but later given his freedom. The most famous of Aesop's fables is The Tortoise and the Hare. This story teaches the importance of patience and the dangers of excessive pride by describing a race between a tortoise and the hare who often teased him for moving too slowly. The hare becomes overconfident in his abilities and decides to take a nap halfway through the race, while the tortoise continues on and eventually wins. If you're interested in learning more about these popular short fables, AesopFables.com is an online resource that allows you to read or listen to many of Aesop's fables free of charge. If you're searching for contemporary examples of fables, look no further than Dr. Seuss. First published in 1971, The Lorax is a fable about the importance of being kind to the environment. The Once-ler, whose face is never shown, represents industrialized society. The Lorax represents the environment. The Once-ler becomes entranced with the beauty of the Truffula trees, using them to make a "Thneed" - a garment he claims everyone needs. The Lorax protests and tries to stand up for the trees, but the Once-ler is greedy and won't listen. Soon, the animals in the forest are hungry, the city is polluted, and there are no more trees left for the Once-ler to chop down to make his garments. Yertle the Turtle, published in 1958, is one of the best selling children's books of all time. The official title of the book is Yertle the Turtle and Other Stories since it is a collection of three different children's fables. However, the most popular of the stories is the tale of Yertle. As the king of the pond, Yertle is trying to stand on his subjects to reach higher than the moon. The plan appears successful until the bottom turtle burps and the tower of turtles topples to the ground. This fable is said to condemn fascism and absolute power; Yertle is commonly thought to represent Adolph Hitler. First published in 1957, How the Grinch Stole Christmas! describes how the Grinch despises the holiday season. His heart is "two sizes too small" and he concocts an elaborate plan to dress up as Santa Claus so he can steal presents, food, and decorations from the residents of Whoville. He is jealous of their happiness during the holidays, but his plan backfires when he finds the Whoville residents still singing joyfully on Christmas morning. He returns their belongings and is invited to celebrate the holiday with them.